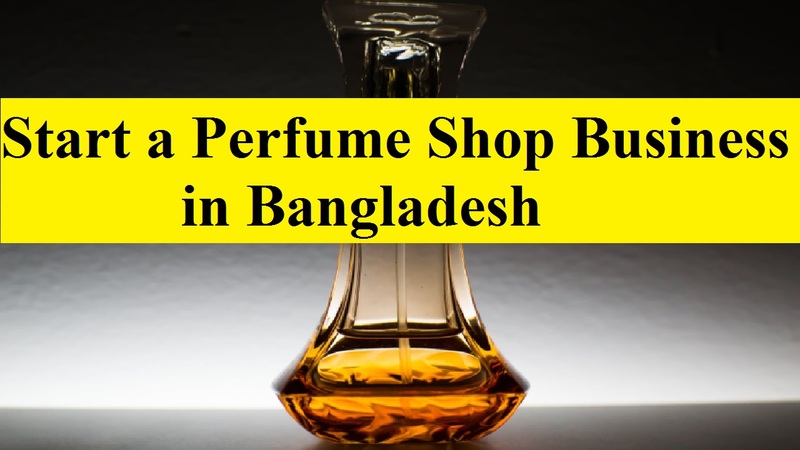 It’s not only fun running a successful perfume shop business in Bangladesh but much profitable venture as well. Also, it’s great for someone who loves to experiment with fragrances. Moreover, the prestige fragrance industry recorded growth in the last five years in Bangladesh according to a report. So, you’ll be surprised when you’ll learn about how huge the perfume market is. This is a type of business that requires intensive research, commitment, proper planning, as well as creative marketing and networking skills. Although it can set you on the road to financial independence, you should only venture out on your own after you have completed your research and created a business plan. And you’ll be well on your way to financial success with startup capital to open a perfume business. With over 164 million inhabitants Bangladesh has one of the largest populations in the world. The cosmetics and toiletries market in Bangladesh is around US$ 5 million where the perfume shop business is not separated. But, it’s not less than half of the total amount. It means Bangladesh is a great place to start the business where you can do something special. Also, starting your own perfume production company, you don’t need a degree in chemistry. As the two major businesses centered on the perfume industry, you can combine the two businesses into one profitable enterprise. While you’re personalizing and customizing perfumes, you’ll make lots of money. What you need to get the success is adequate perfume making skills and effective marketing. This is because it’s a highly competitive and challenging business. Perfume Shop Business is not only about branding but lovely fragrances and pricing as well. So, you need lots of experimentation and a few good products and a certain mindset while getting ahead in the perfume business. Also, it’s important in the perfume industry as being appropriate pricing and packaging. Moreover, you should decide either you’ll go on a large scale or small scale business. And if you align with other people, you can form a partnership. Besides, before starting your perfume shop business, there are some steps to consider. Let’s know what the steps are to consider for a perfume business. It’s a roadmap that shows the ways and growth of your business and revenues. Apart from outlining the sales strategy, a business plan helps making discounted prices, marketing, and networking strategies. Also, it comes with a management structure, as well as your expansion and exit plan. You’ll need to work out your financial projections based on realistic estimates if you plan to fund from external sources. Moreover, you can Investigate perfume recipes, or make distinctive blends if you’re interested. And while getting familiar with the scents that need to spend some time. It’s important to have sufficient knowledge of the industry before you venture into any business. You must first understand the products and the market to run a successful perfume shop. Also, there are different types of perfumes as the choices differ from one to another. Those who the true perfumes are also known as extract, Eau de Parfum, and Eau de Toilette. And they’re categorized as floral, woody, green, oceanic and Oriental because they serve different purposes. So, conduct an informal survey or use statistics from major distributors to identify perfumes that sell most in your location to decide on your target market. Additionally, you should know what your target customers need and about your competitions. Choose an area where people are looking to spend some disposable income like a shop in an open-air market or in a mall that hosts many clothing and gifts shops. So, you can use a real estate agent to scout for this concern. Also, you should choose the location that has the higher amount of foot traffic. Moreover, if you have a spacious shop, it’ll enable you to buy products in bulk. Finally, there are no ways of choosing a location with good traffic because you may not be happy when you’ll not sell more product lack of customers. That’s why before you start a perfume business in Bangladesh, you must know about the traffic of the location. If you look at the print publications on perfumes and fragrances or attend trade shows then you’ll find suppliers for your shop. Also, you can get them from online through search engines. And it’ll come in an attractive manner when you’ll get an expert design your shop’s interior, install proper lighting and display your products. Moreover, you can reach more customers while developing a web presence for your perfume shop. In order to keep your customers updated on new products, design an attractive website. Also, create social media accounts with various platforms and this way; show your online offers and presence. When you want to start a perfume shop business, essentially you need capital. You can determine by the option and scale at which you choose to start your perfume shop business you will require the amount of capital. And it’s not a wise decision to underestimate the capital requirements. For example, apart from the payments of rent and purchasing equipment, you also need money for the fixtures and fittings, initial materials or inventories. Also, as working capital, you’ll need adequate money. This is because it may take some month before you start having positive cash flows. That’s why you should have a well-balanced planning about of your business fund. Otherwise, if you need money suddenly, you may be failing to collect it.